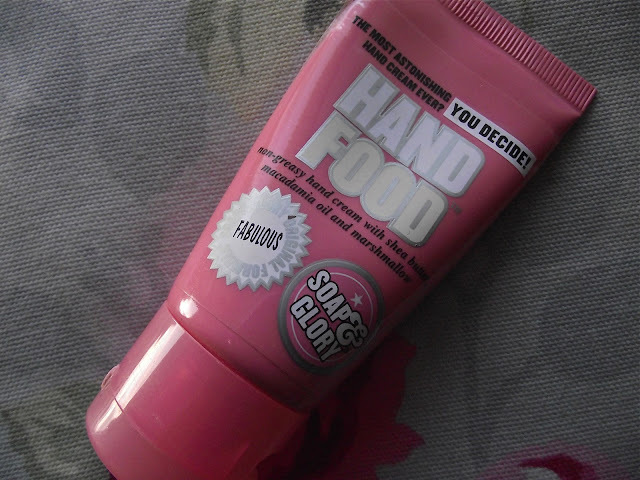 Jesska Denise: Review : Soap and glory Hand Food. 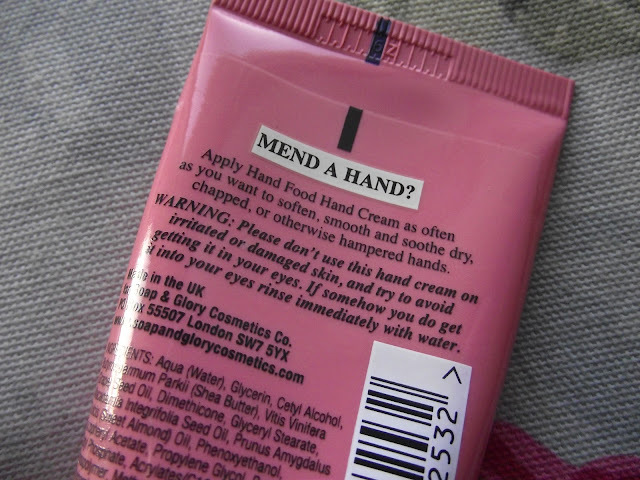 Review : Soap and glory Hand Food. This hand cream is my absolute favourite. Everything from the packaging to the scent just does it for me. I have the 50ml tube that I got in a 'Soap and Glory' gift set three Christmases ago and as you can tell, it really lasts. Mine is almost empty and I'll definitely be repurchasing when it runs out. The scent is a lovely musky girly one with a hint of jasmine which is quite like that of the Miss Dior Cherie perfume. Its not too strong but you can really catch a sniff of it through out the day. 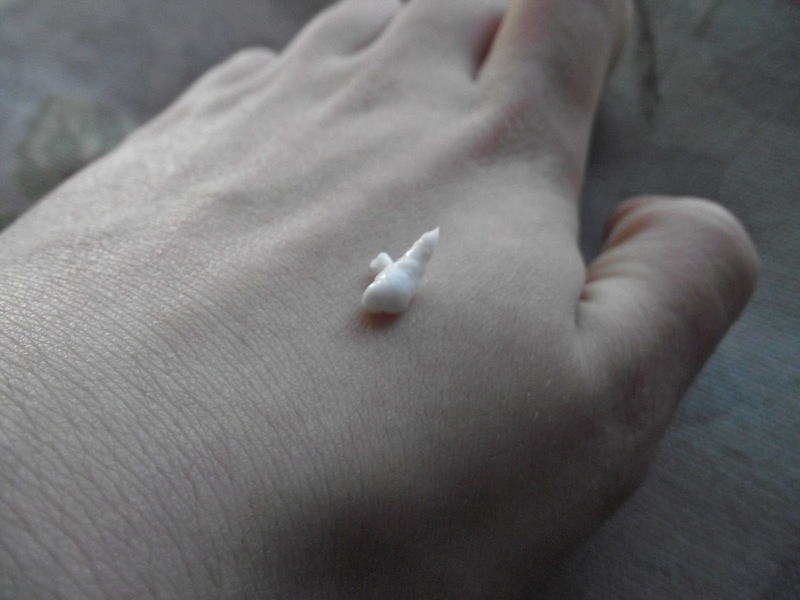 The hand cream itself has a really nice consistency and blends into your skin super easily. 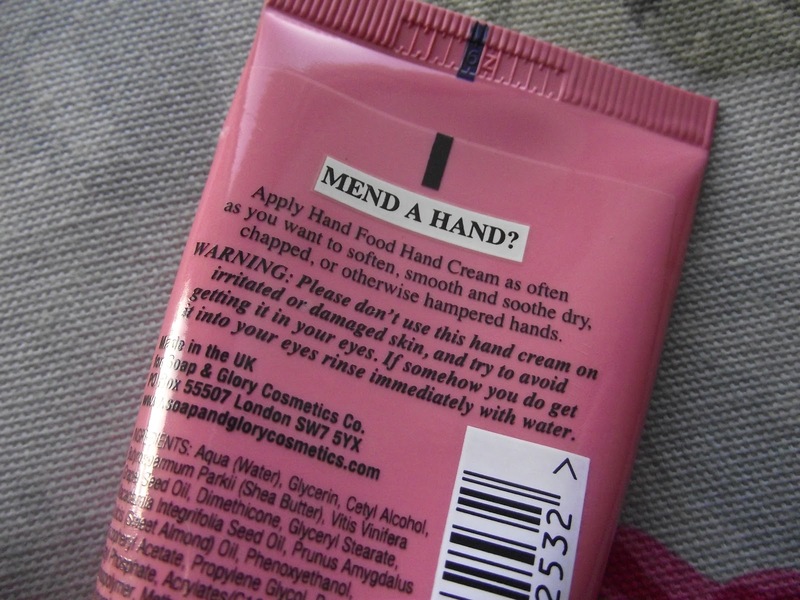 Like it says on the tube it is a 'non-greasy hand cream' which i couldn't agree with more. After you've blended it into your skin it dries really swiftly leaving nothing but a nice scent off your hands. I use this a lot through the winter and after washing dishes and I find it leaves my hands feeling super soft and hydrated. I love Hand Food, I brought the same size as part of a 5 for 4 deal as a second thought and so glad I did! I love this too, the Soap & Glory Hand Maid hand wash/gel thing is always in my bag too! Everything from Soap & Glory smells so lush!